Now a person won't be able to use the "I'll find God when I get around to it" excuse because they have it in their hands! 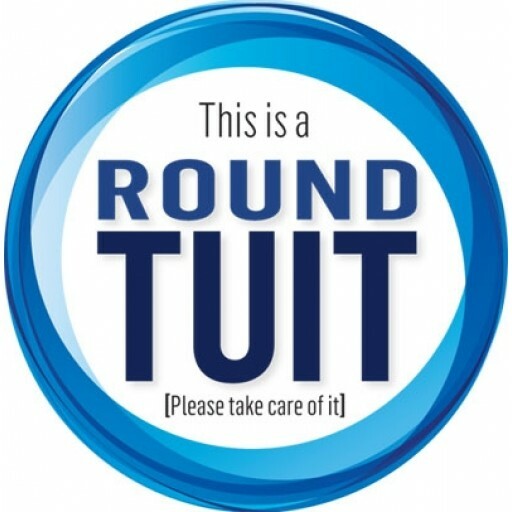 Printed on card stock measuring 3 3/8" in diameter. 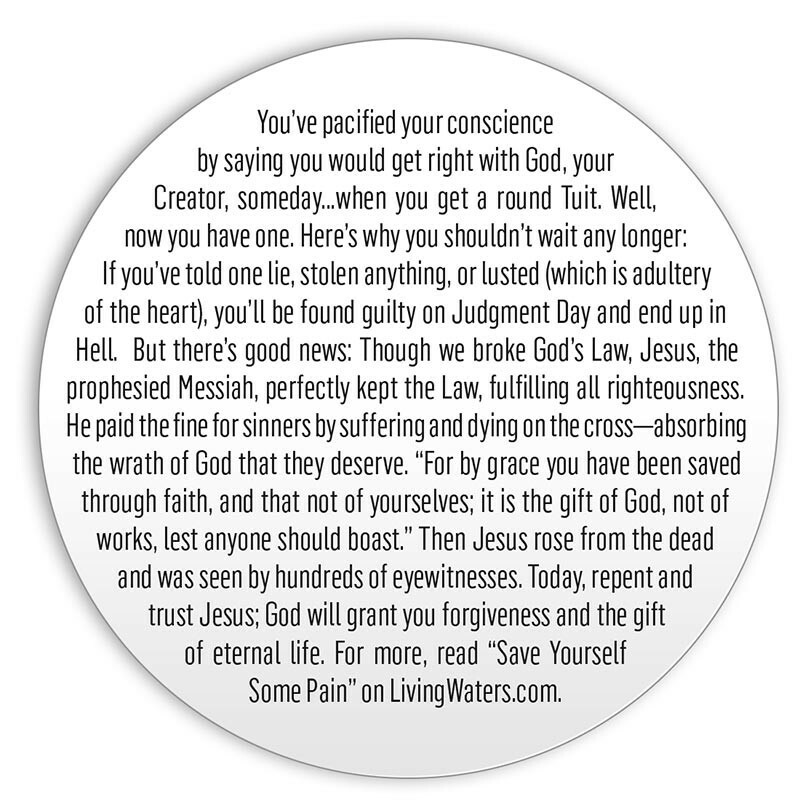 You’ve pacified your conscience by saying you would get right with God, your Creator, someday . 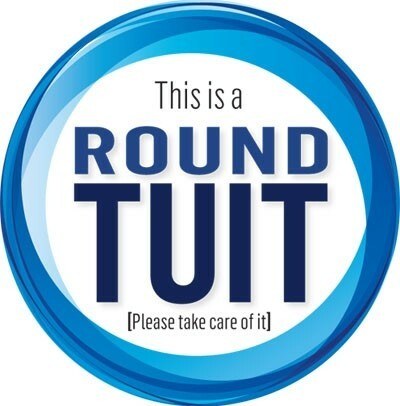 . . when you get a round Tuit. Well, now you have one. Here’s why you shouldn’t wait any longer: If you’ve told one lie, stolen anything, or lusted (which is adultery of the heart), you’ll be found guilty on Judgment Day and end up in Hell. But there’s good news: Though we broke God’s Law, Jesus, the prophesied Messiah, perfectly kept the Law, fulfilling all righteousness. He paid the fine for sinners by suffering and dying on the cross—absorbing the wrath of God that they deserve. “For by grace you have been saved through faith, and that not of yourselves; it is the gift of God, not of works, lest anyone should boast.” Then Jesus rose from the dead and was seen by hundreds of eyewitnesses. Today, repent and trust Jesus; God will grant you forgiveness and the gift of eternal life. For more, read “Save Yourself Some Pain” on LivingWaters.com.